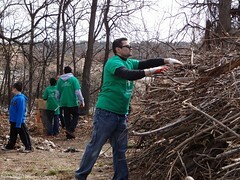 We would like to thank all of the volunteers who joined us for Earth Day, Comcast Cares Day this year on April 25th. We appreciate all the hardwork that the volunteers, City of Lawrence, Comcast and the staff and volunteers of Groundwork Lawrence put it into this event to make it a success. 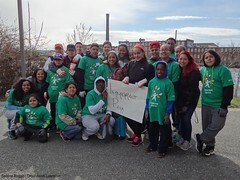 You helped to beautify almost 40 sites throughout the city! 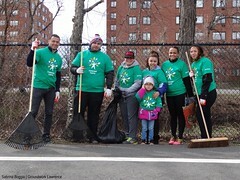 In the days, weeks, months and years following this event, let us continue to take pride in our City of Lawrence and to keep our home clean year-round! 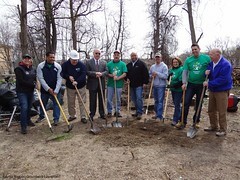 That being said, we look forward to seeing you all again for more beautification and restoration events like the Spicket River Clean-Up in September and Earth Day, Comcast Cares Day again next year! 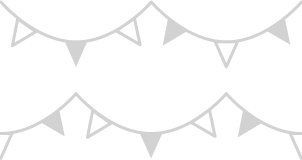 PS: Check out our upcoming events at the end of this email! 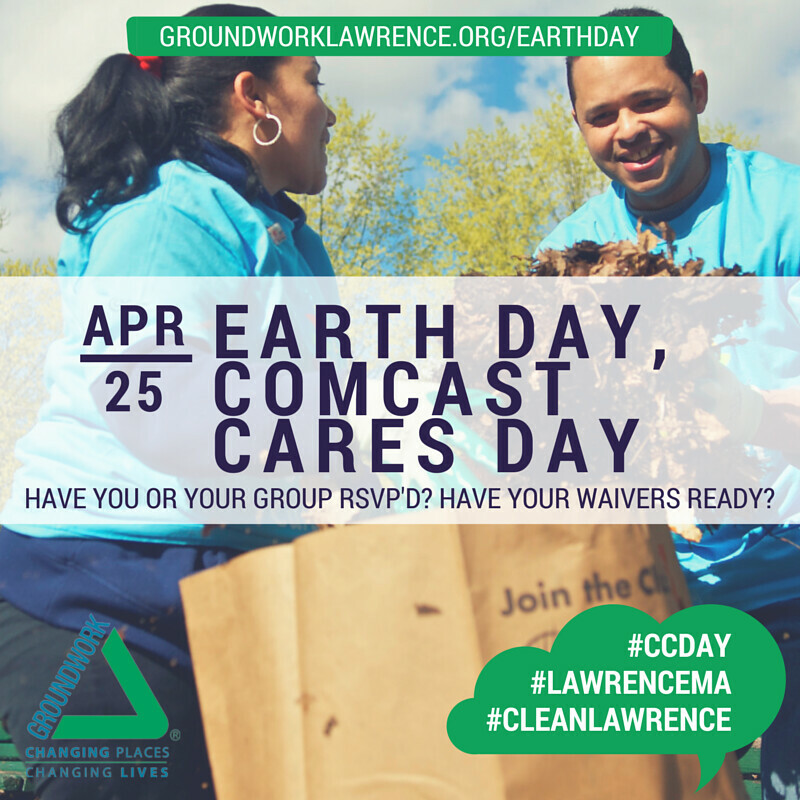 You picked up trash, rakes leaves, painted garden beds and more at all of these sites throughout Lawrence! 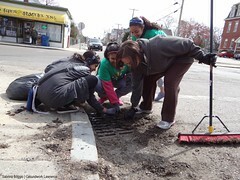 Check out what photos your neighbors shared on Instagram, Twitter and Facebook by searching for the the hashtags #CCDay, #CleanLawrence, #LawrenceMA!